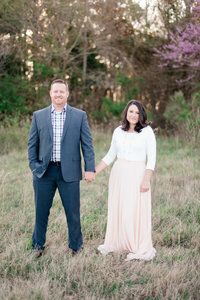 While things are a little slow before they start picking up again this weekend for a big wedding in DC, I wanted to do a recap of our coaching session with Katelyn & Michael. Our first recap can be found HERE. I will be honest, this post is really not for you. It’s for me. It is so that I can write down my thoughts, how I processed everything, and my plans. This post will be one that I will come back to in a year and see how far we have come. How we have grown and hopefully we will be encouraged. We all grow. It is apart of life. However, in the midst of working towards your goals, it is hard to see your own growth. Especially when there are others ahead of you that you look to. They seem…. so unreachable. Their status, their success. But that is where we usually go wrong. When we start looking at others growth and not our own. I am looking forward to reading this a year from now and seeing how far we have come! We started shooting weddings, mainly for friends of ours 3 years ago. 2 years ago this July we started our business. As soon as we ventured into the wedding industry we started following all the wedding photographers we could find. Then we found Katelyn James. Not only did her work stand out to us, but also her work ethic, her heart, and the way her and Michael work together as a team. We started reading their blogs faithfully and we knew that one day we wanted to do a coaching session with her. The problem was is that it was an investment! At the beginning stages of our business all our funds went back into the business. We settled it into our hearts that we would NOT go into any debt for the business. And we haven’t. God has definitely helped us with that matter! A few opportunities arose to take classes with other local photographers who were good, no doubt, however, if I was going to take a class I would save my money for Katelyn and Michael. And that is what we did! It was surreal when we pulled up in their driveway. And meeting them and having Luke’s coffee in their office is definitely a memory that I will always cherish! We got right down to business. First was our website and branding. I was relieved that Katelyn said we did not need to come home and rebrand. That was definitely a relief! However, we did need some help on our website and what direction we wanted to take. At the time I had a website dedicated to weddings with a little page thrown together for my seniors ( AAAHHH I am soooo Sorry)! And I also had 2 blogs I was trying to maintain! One for weddings and one for seniors. Katelyn really helped by directing us how we can put both on the website and same blog without bringing confusion as well as having a home for Seniors. It was definitely something we were hitting a wall with and it was great to get some clarity on this. She also gave some advice on just some minor appearances on the website that will help with the look and overall feel. Next we moved on to roles. Oh goodness Roles! When it is just one person running a business, the role is just you. It’s not easy because YOU are everything and everyone! However, when working with your spouse in a business, it is not easy as well. We have definitely come a long way and am learning each other, but we do have our moments! So establishing roles and responsibilities is something that we are working on to alleviate some of the confusion of who does what in the business. I am so glad that I have Luke as my partner in crime! Although we do have our moments…I think we work pretty well together! And the last thing I want to hit on is vulnerability. Where does vulnerability come into play when running a business you might ask? It actually is the seam that is woven through the business in every aspect that will keep it from unraveling. Being vulnerable is not being weak. It’s being honest. It’s being honest with who you are and where you are at. With the internet and social media these days, it is so easy to portray someone you are not. And then what happens is that you start to believe that you are that someone. I don’t want to be someone that I am not. We are Luke & Ashley. We are different. We are not like any of the other wedding photographers out there. We have a different story, a different plan in life. And I am looking forward to sharing with you about who WE actually are. I love that Katelyn and Michael pointed this out to us. So although there were other things that were hit on that were definitely important, these were the main points that stood out to me and make me know that it was definitely worth the wait and the investment. Thank-You so much Katelyn & Michael for all that you do! Hope you guys are having a blast in Austraillia ( Even though I already know you are)! Here are some of our pics that Katelyn took of us in a local parking garage!